Aston Villa have a long history and over the years have had an abundance of players, that includes legendary names such as David Platt, Nigel Spink, Brian Little, Paul McGraph, Dwight York, Peter Withe and more recently have had players such as Christian Benteke, Gareth Barry, James Milner and many other elite players. See who we have picked for our starting 11 and chime in with your suggestions, we are eager to hear your thoughts. Players who have worn the villa shirt have won numerous major competitions that includes the European cup, league titles and the FA cup and League cup. Aston Villa are club with an impressive trophy cabinet, winning many of the major Trophies available to an English club, including league titles, league cup and FA cup. 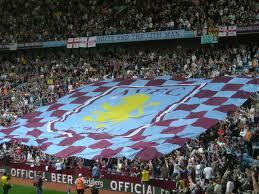 Aston Villa are also one of only 5 English clubs to win the European club. Historic shirts from Aston Villa`s glories past, remember FA cup winning team of 1957 or the 1982 Euopean cup winning team or the Villa shirts from the early 90`s. Browse through some of our iconic football strips, ideal present for any occassion, buy online and get them delivered to your home. In the modern game the players wives and girlfriends have become a large part of the game, see some of the stunning wags of Aston Villa players past and present. Aston Villa Wags include actresses, models as well as some child hood sweat hearts. Are you a flash striker such as Dwight Yorke, or a mister dependable shoring up the Villa defence such as Paul McGraph, complete a few simple questions and we give you the result best suited for you. A comprehensive history of all the men who have taken charge of Aston Villa over the years, also a place to discuss our current manager Tim Sherwood or voice your opinions about who you would like to manage AVFC in the future. Keep up to date with the latest happenings at Aston Villa, with the latest news, views and gossip from Aston Villa Rumours and fellow Villa fans. Historic events from Aston Villa`s long history, see what happened on this date, in the years gone by. From the date of when we won the European cup to players birthdays. From funny football videos to great Aston Villa moments in history, AVFC Rumours bring you a video archive For Villa and football lovers . Football is the beautiful game, but often throws up some hysterical events, find funny football memes and pictures on . Here at Aston Villa Rumours we help our fellow villa fans keep a finger on the pulse of all the happenings from villa park. Including Aston Villa transfers, players villa are showing an interest as well as info on other teams who are sniffing around our players. From stories from newspapers, the fans and some in the know we endeavour to let fans know what is happening as fast as possible, with the power of the internet. Tim Sherwood has had a busy summer so far the departure of Christian Benteke to Liverpool, Fabian Delph move to Man City, Shay Given leaving for Stoke and Andreas Weimann to Derby County. This has left a Tim Sherwood with cash on the hip and many of the imports to villa part are coming from the French leagues, these include Idrissa Gueye from Lille, Jordan Amavi from Nice. Other summer signings include Scott Sinclair and Micah Richards from Man City as well as Angel Crespo from Spanish side Cordoba. But with all these confirmed purchases Tim Sherwood is rumored to continue his summer spending, being linked with a number of other signings including Emmanuel Adebayor from spurs, Jordan Veretout from Nantes, Rudy Gestede from Blackburn, Jeff Hendrick from derby, Fabio Borini from Liverpool. We are not sure which of these rumours are true, but one thing is for sure the transformation of the Aston Villa playing staff is far from complete. Honours: UEFA Cup: 2005–06 (Sevilla), Supercopa de España: 2007 (Sevilla), UEFA European Under-19 Championship: 2006 (Spain). Could Breel Embolo be the next Christian Benteke? Aston Villa are being linked with Breel Embolo from Basel, the highly rated 18 year old has broken into Basel first team and showing an eye for goal, although only 18 Ebolo is showing lots of promise to becoming a world class striker, the question is can he replace Christian Benteke as Aston Villa`s main man in front of goal in the event of departure to Liverpool. Although here at astonvillarumours.com we are excited of the prospect of one of Europe`s top young talents coming to villa park, but are concerned of the amount of pressure put on his young shoulders, with Christian Benteke`s goals being of such high importance we believe that we will need a veteran strike partner. Sherwood summer transfer target Idrissa Gueye looks to be close to completing his move from Lille, reported to be costing in the region of around 9 million pounds, Aston Villa will have seen off lots of competition for the 25 year olds signature, including other premiership teams. Born in Senegal, Gueye is a product of Lille`s youth system, when completed he will be Sherwoods third signing after Scott Sinclair and Micah Richards. Here at Aston Villa rumours we are getting excited about the players we are bringing in, although we are casually optimistic as in the event of the loss of Vlar, Delph and Benteke a gap in the core of the team will be left that will be difficult players to replace. Bad news for Villa fans, it has been reported that Fabian Delph`s new contract, has a low buyout clause of just 10 million pounds, considering the prices being quoted for other players such as Raheem Sterling who Liverpool want 50 million for, Aston Villa could find themselves on the rough side of any deal for our captain. Must confess our disappointed here at Aston Villa Rumours in this news, when Fabian Delph signed the contract earlier in the year it was reported as a huge coup and looked like he was going to join the ranks of club legends who show loyalty to the fans and the club, but by forcing such a low buyout clause does sour the taste a bit. Hope he does stay at the club and becomes a true legend for Aston Villa, instead of warming a bench for Man City, before you decide Fabian please talk to Sinclair and Richards about there time at Man City. We are proud to announce the signing of England international defender Micah Richards from Man City on a four year deal. With the likely exit of Christian Benteke before the beginning of the new season we here at Aston villa rumours who will replace him next year, a suitable striker to score those all important goals is vital for Aston Villa to stay in the premier league next year, let alone compete. Possible replacements include Callum Wilson on Bournemouth, Aston Villa was linked with Callum in January, but Bournemouth did there upmost to keep the player who`s 20 championship goals contributed to their promotion. The big question are, firstly will Aston Villa be able to get Bounmouth to part with one of their prized assets, another question will be how will Callum Wilson fair in the Premiership, and will he be able to continue the form from the championship. Another possible replacement is the Asian star Shinji Okazaki from Mainz scorer of 14 goals in his debut season and another 15 goals last year. There is also the possibility of a player coming in from whoever buyer Benteke as part of the deal, one possible forward is Joel Campbell from Arsenal who is currently on loan at Villarreal, Obviously we would prefer Benteke at Villa park, but this would allow us to spend the fund in other areas of the pitch. This summer will see big changes in the playing staff at Aston Villa unfortunately it is not all going to be good news at villa park. Having lost out on Tom cleverly to Everton it is now looking increasingly unlikely that we will be able to keep Ron Vlaar after he is reported at saying that at his stage in his career he believes he can do better that Aston Villa having been quoted as saying “I want to maximise my career and I think I can go a step higher”. Another increasingly likely one to leave is our prize player Christian Benteke, as we all know a host of champion league clubs have been linked with the player and with Jose Mourinho coming out and saying he will be in the market for a striker and Eden Hazard also saying he would love to play alongside Benteke at club level, this combined with the statements from the agent in the prank call from an Aston Villa fan, u would not be betting on Christian Benteke playing in a villa kit next year. 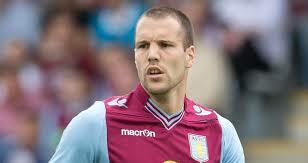 The consensus here at Aston Villa Rumours is Ron Vlaar is a player that is easily replaceable the major negative is the transfer fee needed to replace Vlaar with another veteran defender to go alongside the youngster`s. As for Christian Benteke, he will be nearly irreplaceable, not only finding a player of his caliber but then convincing them to come to Aston Villa, let’s hope that Tim Sherwood can weave some magic during the transfer window, but it will be a hard needle to thread. There will be many changes at villa park during this summer`s break from the possibility of new ownership, the question of Benteke`s future still to be answered as well as many other players coming to and leaving Aston Villa. One position that many people believe Tim Sherwood will be looking at carefully is who will be in-between the sticks next season, with mistakes by Guzan in the later games giving Given back his place, but unfortunately many people believe Given has seen better days. So who will Aston Villa be purchasing next year, many people have been tipping David Button of Brentford, after an excellent season with disappointment in the play offs, Aston Villa could offer David Button premiership football and with a history of being a Tottenham trainer with current villa manager Tim Sherwood. Here at Aston Villa rumours we would welcome David Button to villa park as an exciting young goalkeeper for the future. 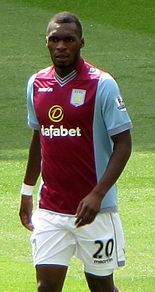 01/6/2015 - Villa`s star striker Christan Benteke may not be a villa player next season, with an excellent finish to the season with 13 goals in 11 games, Benteke has been linked with Liverpool, Arsenal, Manchester as well as Premiership winners Chelsea, not to mention the other clubs from over the channel in Europe, with many suitors able to offer Champions league football Villa will be hard pushed to keep the talented Belgium at villa park next year. Benteke has pledged his football boots to villa next year but if a top club does stump up the 32.5 million pound release clause then can`t see either club or player rejecting the move. There are also theory’s that any transfer of Benteke may see a player coming the other way, Liverpool have a proven premiership goal scorer who has failed to impress at Anfield, Rickie Lambert may not be as good as Benteke but sure he could do a job for Aston Villa and give them extra funds for another forward as well as other positions that will be needed. 20/5/2015 – Aston Villa could be the latest premiership club to hit the big time with a new billionaire owner, obviously with Randy Lerners recent statement many names are being linked to buying the club including tech entrepreneur Larry Ellison founder of Oracle with an estimated net worth of around $54 billion, compared to Man City`s owner Sheikh Mansour with an estimated $17 billion. Larry Ellison was reportedly seen watching Aston Villa play against Hull, if the reported sighting does translate to a purchase Aston Villa is sure to get transformed by Larry Ellison competitive winning mentality. 14/5/2015 - Jack Grealish has put Aston Villa ahead of the Republic of Ireland as he rejects his international call up to play against Scotland. His first call up for the 19 year old rising star Jack Grealish has stated he wants to concentrate of ensuring Aston Villa avoid relegation. 12/5/2015 - Former Chelsea director Paul Smith is leading a consortium of investors to buy Aston Villa from current American owner Randy Lerner. The consortium known as Halo are also looking to invest in other European clubs being linked to Internazionale (Italy) and Sporting Lisbon (Portugal). 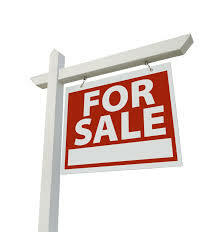 The club was placed for sale by Randy Lerner over a year ago with Bank of America Merrill Lynch who are handling the sale, over this period many parties have registered interest, it will be interesting to see if this current rumour of sale materials in new owners for the 2015/2016 season. 11/5/2015 - The rumour mill has been in force with reports thank German team Wolfsburg are showing interest in Tom Cleverley who is currently impressing with his form playing for Aston Villa. It is hoped that his good form along with Tim Sherwood impact of dragging villa towards safety can help convince Tom Cleverley to sign permanently when the transfer window reopens. Recent quotes from Tom Cleverly are encouraging with him stating how he is currently enjoying his football at the moment at Villa park. 25/1/2015 - Great news Fabian Delph signs new 4 year contract with the Villa. Here at Aston Villa rumours we were concerned that our poor performance on the pitch and the rumoured interest of some of the premier leagues top clubs including a possible move from villa park to Liverpool would see the loss of one of our prized assets, some thing that we have seen far to often in the past. The 4 and half year contract signed by Fabian Delph shows his loyalty to the club and will do much to help set himself up as a Aston Villa legend for years to come. 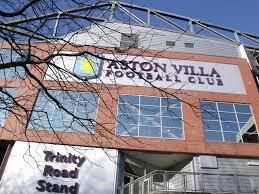 29/5/2014 - After 8 year of ownership Randy Lerner has placed Aston Villa for sale for a reported 200 million. Many Aston Villa fans have been critical of Randy Lerner and here at astonvillarumours.com we do agree it is time for a new chairman but we must be thankful for the past investment in the club. Under the stewardship of Martin O`Neil Aston Villa were amongst the big spenders in the premier league, but with owners such as Roman Abramovich of Chelsea, Sheikh Mansour bin Zayed Al Nahyan of Man City along with the huge spending power of Manchester United it is becoming extremely difficult for other Premier league teams to compete at the top of the league and Aston Villa need significant investment to attract the star footballers from around the world and then keep them when the elite European clubs come a calling. 23/3/2014 - Rumour has it that German winger Andre Hahn could be making a switch to the premiership and joining Aston Villa. Andre Hahn has been in impressive form scoring 10 times already in the current season and at only 23 is an exciting prospect for the future. 10/3/2014 - Paul Lambert is looking to sign Ryan Bertrand from Chelsea on a permanent transfer. Ryan Bertrand had found playing time a rare commodity at Stamford Bridge and enjoying time on the pitch at Villa Park. It is understood that the 24 year old defender is considering making the switch as he looks to advance his foot balling career. 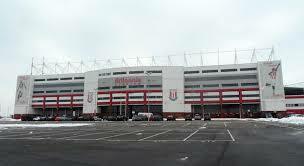 29/12/2013 - After a disappointing 3 years at in the colours of Aston Villa reports seem to be indicating Stephen Ireland could be making his move to Stoke City permanently. The marriage of Aston Villa and Stephen Ireland was always a shotgun marriage as Man City swoop in to steal away James Milner, Stephen Ireland struggled to perform and was later frozen out of plans by Paul Lambert. His performance have improved during his stay at Stoke City as he is reunited with former Man City manager Mark Hughes.